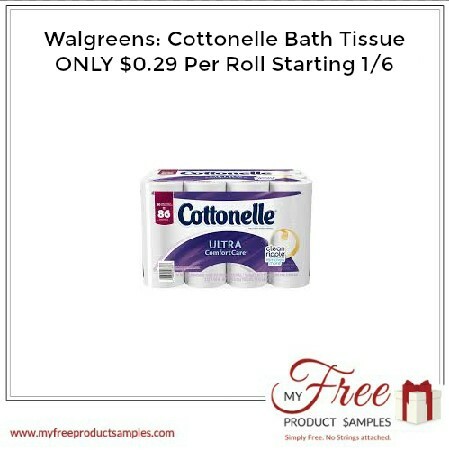 Walgreens has Cottonelle Bath Tissue 18 Rolls are priced at $7.50 each. There is a Cottonelle toilet paper coupon insert to further reduce the price. In addition to that you will receive $5 Register Rewards when you spend $2 and ibotta rebate to make the final price ONLY $0.29 per roll! You can get Cottonelle Bath Tissue ONLY $0.29 Per Roll. Final cost: $21 or $5.25 each – just $0.29 per roll!